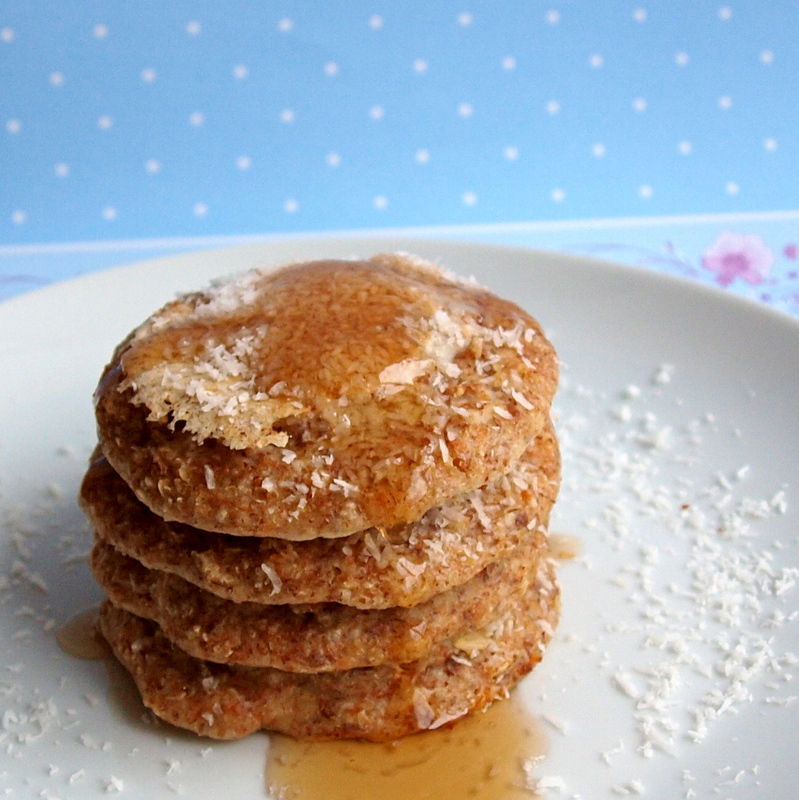 I’ve been on a coconut streak lately, and here is the first of the recipes: pancakes! Mix the batter. I always try to dirty less dishes, so I actually start with the wet ingredients in a large measuring cup, and then just scoop the dry ingredients and add them into the same measuring cup. The bonus of using a measuring cup, is that it makes it easy to pour. when you flip the pancakes, the coconut will get all nice and toasted! garnish with more flaked coconut, and top with syrup of your choice (I like E.D.Smith no sugar added). About the ingredients: I’ve used the grains I’ve used because I find them to be healthier alternatives, and they work for me. If you’ve got regular flour on hand, or prefer to use that, by all means, do so! Also feel free to use whatever milk you like, or sub in an egg instead of the egg whites. If you really want to make this rich, replace the milk with coconut milk (or lite coconut milk). Amazing. I would love to try this one, it’s quite unique. That sounds so yummy! I’ve never used coconut extract – did you just find it at a supermarket or should i go to a specialty shop? Hey DL 🙂 Thanks! I’m pretty sure I just got it at Metro…they’ve actually got a lot of extracts.